There are more than one band share this name. 1) The Swedish indie band Leopold The 2003 debut album, "Dreaming is for Anyone", was described as one of the most beautiful albums of the century (Parasol Records). If that album was boy room ponderings softly spoken over a pot of tea, then "Friend of a Friend" (released in 2006) is the soundtrack of the journey away from that. With personal lyrics and a sound based on epic indie pop, this album will attract fans of Mojave 3, Wilco, Badly Drawn Boy, Lambchop, Belle & Sebastian and Mercury Rev. The 2003 debut album, "Dreaming is for Anyone", was described as one of the most beautiful albums of the century (Parasol Records). If that album was boy room ponderings softly spoken over a pot of tea, then "Friend of a Friend" (released in 2006) is the soundtrack of the journey away from that. With personal lyrics and a sound based on epic indie pop, this album will attract fans of Mojave 3, Wilco, Badly Drawn Boy, Lambchop, Belle & Sebastian and Mercury Rev. 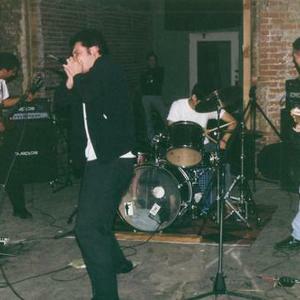 2) Leopold is a noise rock band from Los Angeles California that formed in 1996.